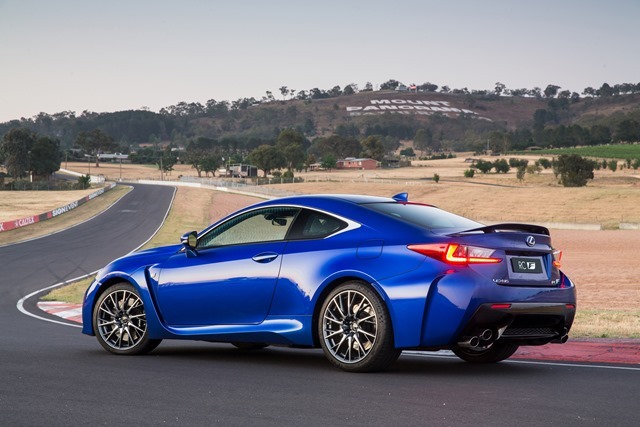 Lexus is one of those hugely underrated auto makers. They are technically very good and are very well equipped. However, some have had some models who were, shall we say, aesthetically challenged. They were comfy and fully loaded but sooner or later you had to get out and look at them. As if a magic car designing fairy had waved a wand over the entire company, Lexus has moved away from doting daddy and now keeps Toyota at a respectful distance. Some say Lexus cars are just expensive Toyotas but no longer is Lexus a badge engineered brand. We drove the drop-dead gorgeous orange RC350 and adored it. You can read about it here. 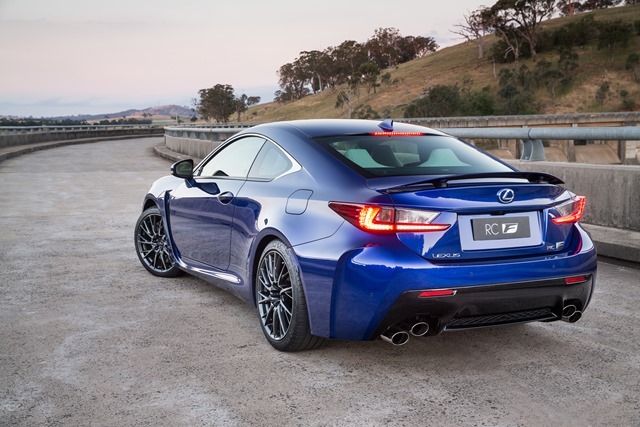 I’d have happily opened my own wallet to buy one, then I drove the V8 RCF and that all changed. This is not your boy-racer hot hatch but rather what boy-racers would buy if they weren’t spotty faced youths without 2 cents to rub together. It is a serious car costing serious money. With that serious money comes serious performance. While it’s true that some have been unkind especially when comparing the RC to the venerable BMW M4, that is just an opinion. The M4 is gorgeous and powerful and handles like a race car with posh ride. You won’t hear any complaints from me, but what if you fancy a something a bit different. What if you don’t want a German? As I am want to point out, 0.00001% of buyers will ever take their own cars to a track, and even fewer will actually drive on one because only a tiny percentage of drivers will ever experience a track, period. Who in their right mind would pay between one and two hundred thousand bucks then shred the tyres, tax the engine, and stuff the auto, acting like a yobbo on steroids? Worse still, there is a risk you’ll hit the kitty litter, or a concrete barrier, or end up in a ditch parked neatly on your roof. No, after you’ve paid in the mid hundreds, sticking to the road is just the ticket. Regardless of what they were aiming for, Lexus have produced a V8 luxury gentleman’s tourer. It’s cosy and comfortable with a superb sound system. Most importantly, it has an engine note of the type which is fast disappearing into the fettered abyss that is 4 cylinder turbos. Four-pot screamers need artificial amplifiers help to make their sound palatable, and the high pitch of 10 and 12 cylinder engines lack the visceral reach of a deep manly V8 burble. 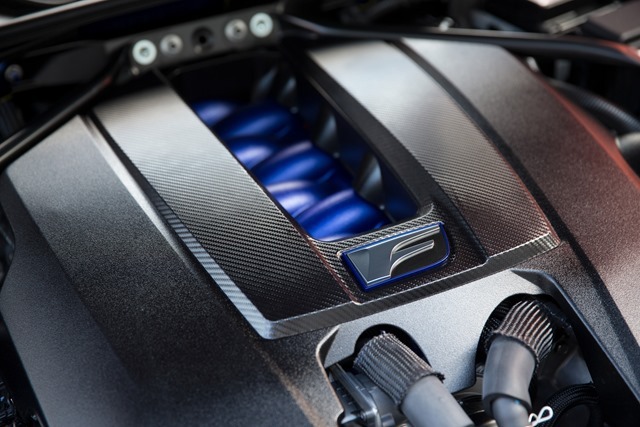 There is much clever wizardry going on under the skin but the throbbing heart is the magnificent 351kw 5.0L V8. 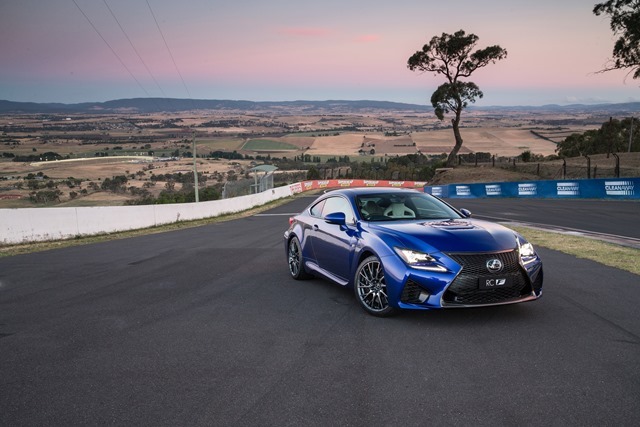 It develops a tarmac-ripping 530Nm of torque and will sprint to 100 in 4.5 seconds. 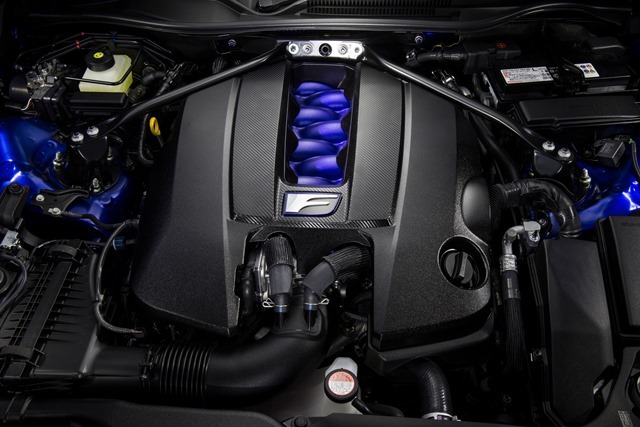 The power is way up on the 311kw of the defunct IS-F on which this engine is based. The book says she only drinks super premium petrol but inside the fuel filler cap says wallet saving E10 will do just fine. That’s rather surprising given the performance credentials, but why would you pay 40 cents more a litre when you don’t have to? The proportions are perfect with both front and rear ends deeply sculptured then strewn with LED decoration. It looks magic especially at night. It is possibly the best looking Lexus to date and the test car was in Follow-me-home-and-strump-me orange. Heads really did turn, and in a good way. There are nice touches inside too. 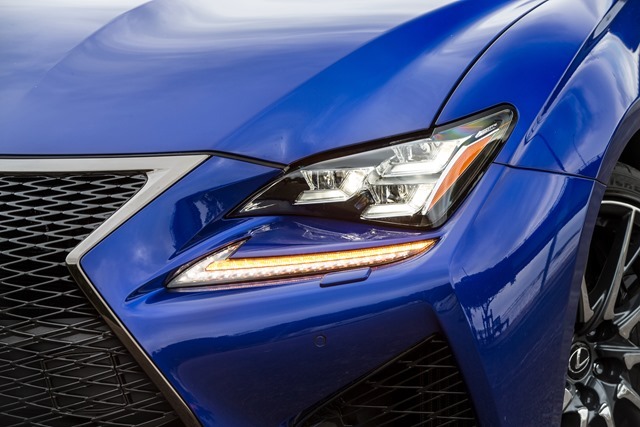 As you near RC-F the door handles light up. The ground is gently lit by a puddle light and the handle has a slit of light along its top edge. Why? Because they can! Of course you can leave the key fob secreted about your person because the locking, unlocking and starting is all keyless. In keeping with the gentleman’s tourer spec, the cabin is gorgeous. It is luxurious without being foppish or overdone. 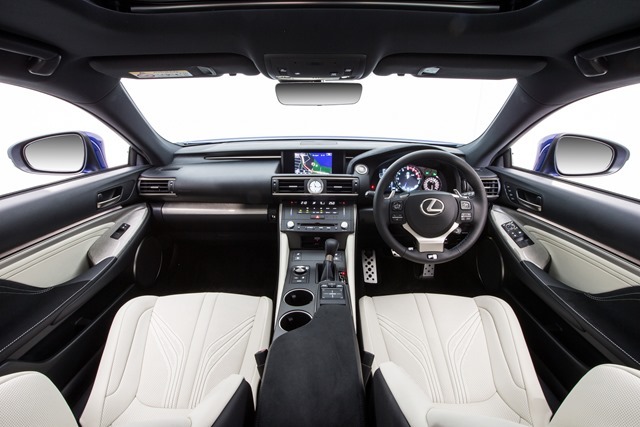 The interior is the same as the $73,038 (on-road) RC350 with minor upgrades. 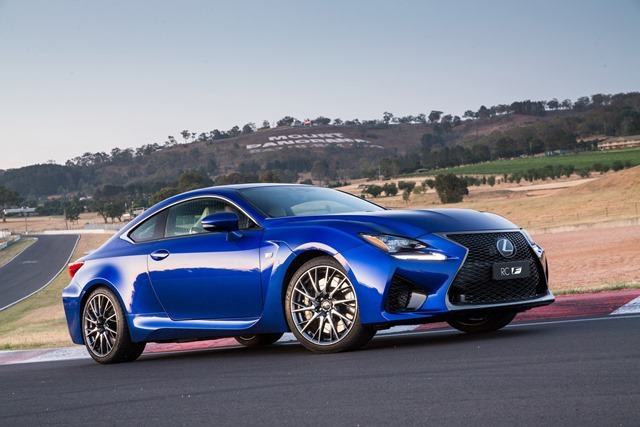 So, for $143,913 for the RC-F and $158,613 you’re going to want the full bells and whistles Monty. The sumptuous leather seats provide excellent support. I was able to set the driving position quickly and save it on one of three personalized settings. The back seats are really only for shorties and are accessed by operating a handle which pushes the front seat back forward then powers the seat bottom forward at the same time. The front seats also have heating and cooling but it’s the cooling which makes a biggest difference, especially on those steamy days with temps north of 40c.Of course there is radar cruise control, blind spot warning and lane departure warning but where is the automated parking. Most people think that is a gimmick but not only does it accurately tell you is a space is big enough, it will then park you in it as well. Come on Lexus, extract the digit. This is a 143 grand car. You get auto parking in a $35,000 commodore for goodness sake. There are only a few minor annoyances: The foot operated parking brake is clunky to use, and in the era of push-button electric parking brakes, seems out of its time. The infotainment menu setout is fiendishly difficult to use. For example the warning bongs for red light cameras and school zones is hidden away in alerts, not in navigation where you might expect it to be. It’s a computer so surely it should be accessed in a number of different ways. Why is the no search option? Part of the difficulty is the touch pad between the front seats which is almost impossible to use while on the move. 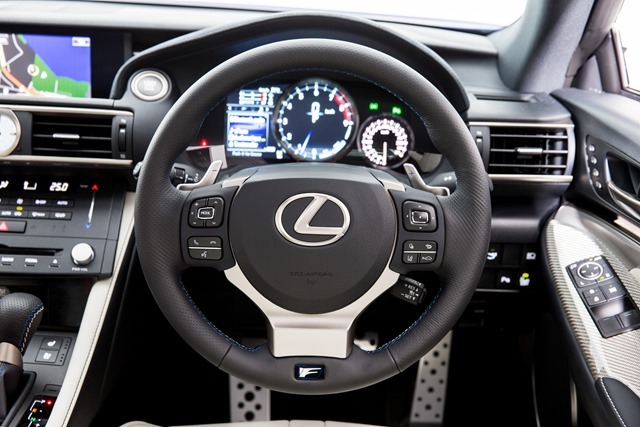 Like most Japanese auto makers, Lexus assumes only the driver will ever operate the satnav so blanks out most operations once you start moving. It is so annoying when you have a perfectly good sidekick to do it all for you. Some cars have an option to disable this feature but not Lexus. Finally, the radio stations must be selected by the steering wheel toggle since there are no direct select buttons unless the LCD is in radio mode. The LCD isn’t a touch screen so you’re options are somewhat limited. Once you get used to it, it is fine but until then you’ll probably pull hair out. It is especially annoying when trying to put an address in the satnav. Don’t try the voice control system. She is less cooperative than working with animals or children. Because Lexus develop cars with the American market in mind, there are chimes for every occasion. They drive a reasonable man potty and there is no way to turn them off. Again, a small annoyance but nothing you couldn’t live with. The Levinsen sound system is brilliant but for most of the time you will turn it down, lower the windows, and listen to the magnificent engine. It never gets boring. This is a beautiful time of the year for Sydney. There are lots of people about and because the windows are down you can hear what they are saying. I realise I’m prone to fits of exaggeration but this is as true as I sit here. Dozens of people commented. They loved the shape and the sound and all knew it was “that new Lexus”. Our V8 got many more comments than the 6 cylinder we drove a few months ago. V8 engines are rare and command a certain respect. Speaking of respect, never ever turn the stability control off. Cars with this much power are deadly in the hands of average drivers without the electronic nannies working feverishly our behalf. The low burble of the V8 seems to echo in underground car parks which rises to a loud roar as the revs pick up. Of course we gave her a rev while in a tunnel which resulted in the needing of quiet personal moments for the driver. At parking speeds the steering feels a bit light and lifeless but as the speed picks up the steering gathers road feel. It isn’t quite the same as hydraulic steering but it will do nicely none the less. The ride is a bit if a surprise. It feels soft and luxurious but can be changed with the drive mode button. In ECO the interest and joy is sapped from the RC in favour of fuel consumption. In Sport and Sport+ the throttle and dampers change to give a more spirited experience. Most of the time you’d be happy in NORMAL but the thrill of Sport and SPORT+ brings the engine to life. It’s a shame you can’t personalize a setting to give soft ride with sports engine and throttle. The problem with sports mode is it encourages rampant hooliganism which makes the fuel figures plummet mercilessly. 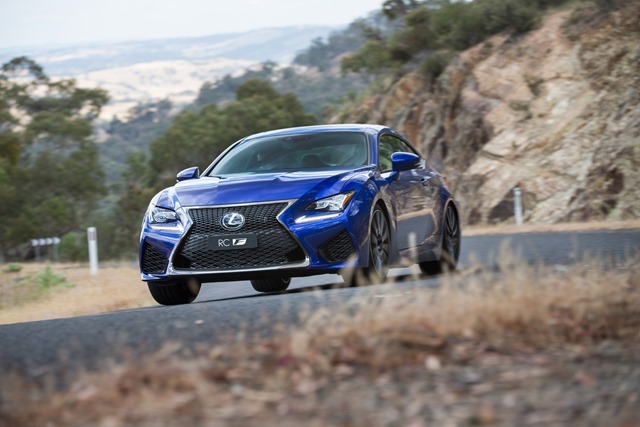 Lexus says you can expect a combined figure of 10.1 L/100k but this must have been achieved in no-thrills “eco” mode, or with the engine switched off. Our combined figure was 18L/100 with a combination of spirited mountain driving, city crawl, and highway cruising. It’s the sports mode in the mountain bends that makes a man feel like a boy again. This is the sort of driving you wish you could do every day. The 8 speed auto is as smooth as 30 year old Scotch, but shove it in manual and the changes are lightning fast. 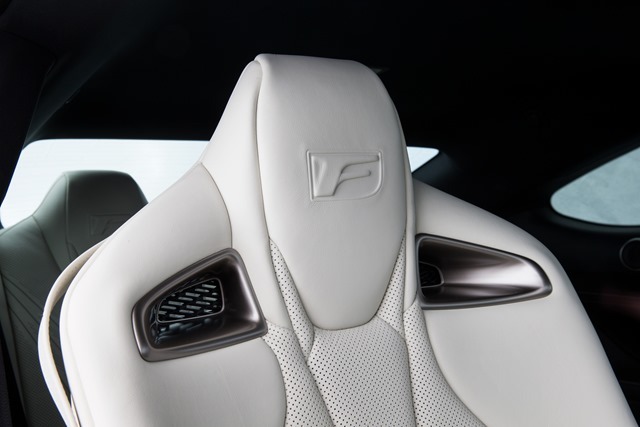 Either paddles of gear stick will change up and down in a jiff. It was something I remembered fondly in the IS-F from a few years ago, so, if it aint broke don’t fix it. The steering in sports mode allows the fabulous chassis to shine. It changes direction as if it is glued to the tarmac. It never feels like it going to let go despite more body roll than I might have expected. Surprisingly, the ride remains lush throughout. The problem with most cars of this ilk is they have been “tuned” on a race track which as I’ve said most people will never see. This means that for most of the time your kidneys and teeth will be rattled loose because you’ve been sold a dream not a reality. Part of that dream is speed. So, the rear wing comes up at 80kph and retracts at 40. 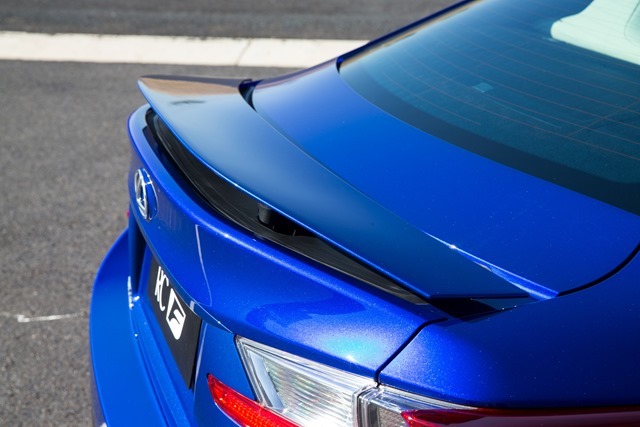 It provides downward force on the rear wheels for fast cornering. However, unless you want to cut up your driver’s licence it is unlikely you’ll ever need it at Australian speed limits. Likewise for the 4.5 second 100kph dash. Once you get to 110, what then? Apart from the few little foibles there is no down side apart from the price. This Lexus is certainly no Toyota badge swap. 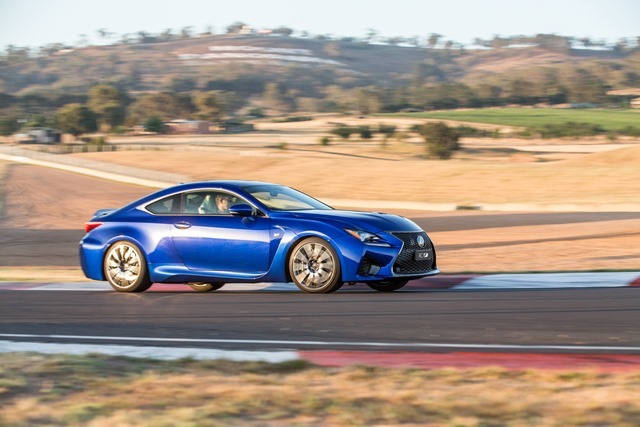 Conclusion: The Lexus RC-F is easy to live with. There are thoughtful touches in the cabin and the safety features are impressive. More deserve to be on the road. Few cars are at home on the track and the road equally. While it’s true that a few bogans have said that on the track it doesn’t compare with a C63 or M4 or S6, they are wrong. 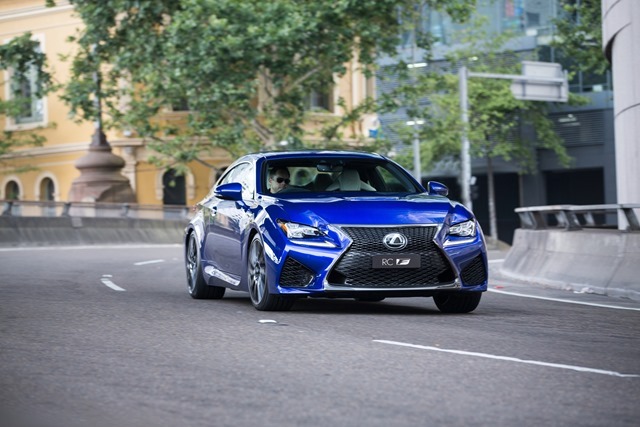 It infers that somehow the RC-F is inferior and it is not. They infer that it doesn’t handle as well, but it does. As I’ve said, a track is not an indicator of how a car performs during normal use. In fact it can be quite the opposite. I’ve driven many a track car that is almost unusable on the road. They lack comfort, have harsh suspension, and the steering is heavy. You’ll spend most of your life in agony just so you can say your car is good on a track which you will never visit. That’s just plain bonkers. 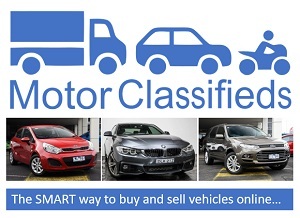 Most of all, it passes the 2 bags test and looks at home with a picnic basket or dogs on the back seat. After all, more than two is a crowd. Would I buy one? Yes, I loved it. 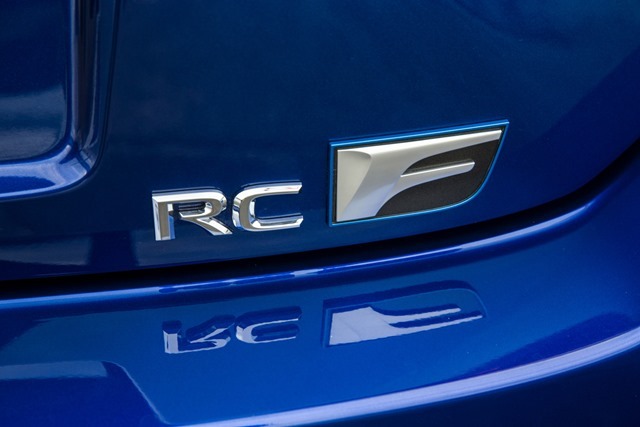 If I couldn’t stretch to the “F” then the RC 350 would suffice. I could do the burbling bit with myself and save 70 grand. Skoda Octavia RS Diesel: Sounds like a Character from Monty Python but just WOW!